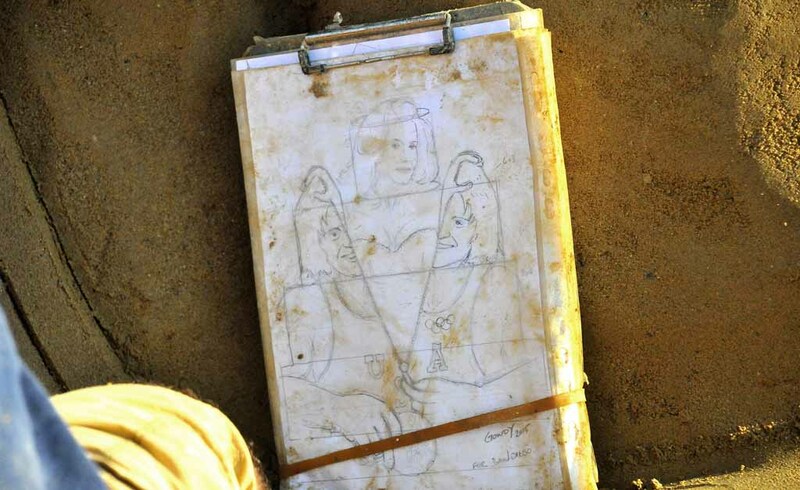 It’s not an immortal work of art — it’s made of sand after all. But Caitlyn Jenner’s transgender journey is a fan favorite at the U.S. Sand Sculpting Challenge ending at 7 p.m. Monday. Italy-based John Gowdy took 30 hours over 3 1/2 days to create the ephemeral piece titled “Bruce Jender, Call Me Caitlyn” on the B Street Pier downtown. Gowdy, 58, had no contact with the former decathlon great, but he’s performed for a different kind of celebrity royalty. A retired Atlantic City firefighter, he performed his “Flying Colors” painting routing for Queen Elizabeth II on her Diamond Jubilee in 2012. 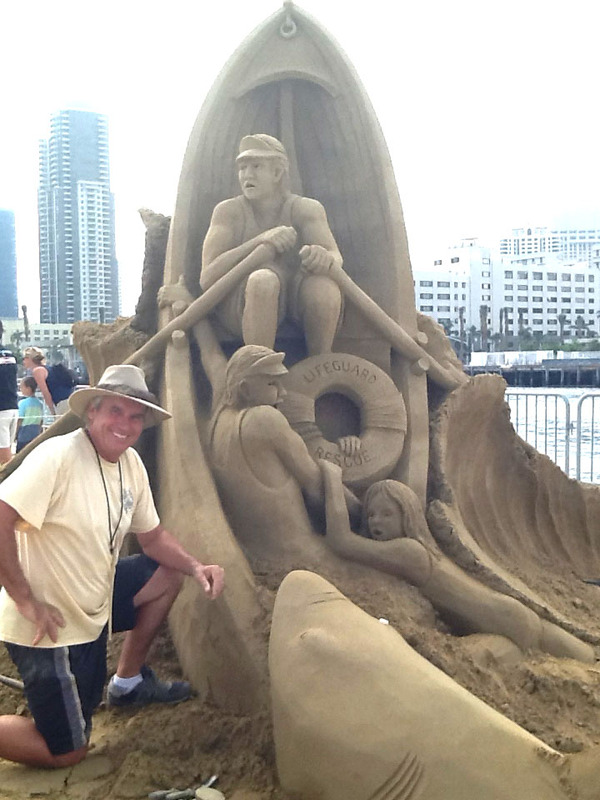 He’s done many topical sand sculptures in the past, he said, and this is his fourth year competing in San Diego. 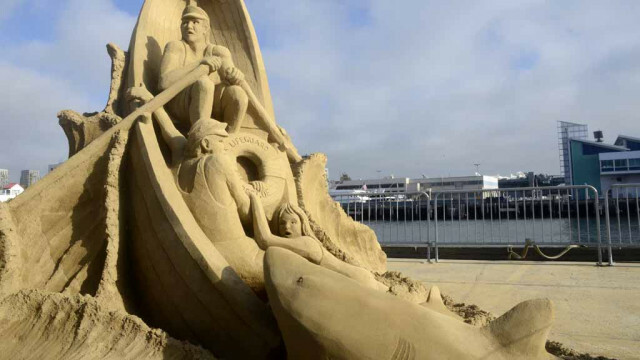 “I won first place People’s Choice last year with Lifeguard Rescue,” he said. 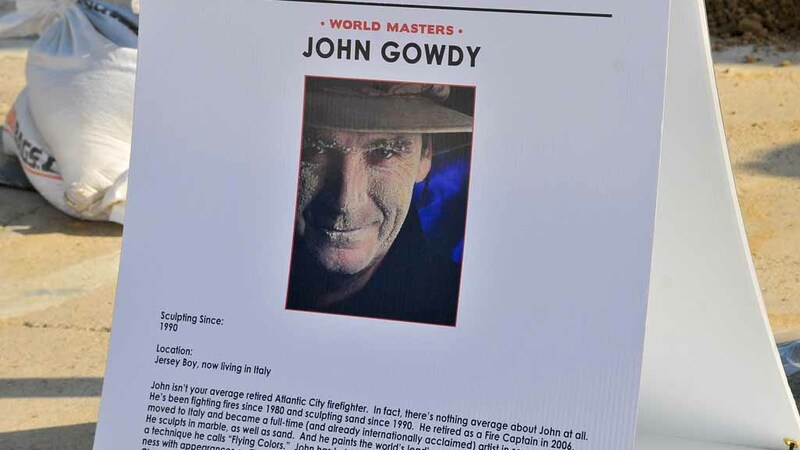 Gowdy also sculpts in stone, having attended the Marble Institute in Colorado for five years. 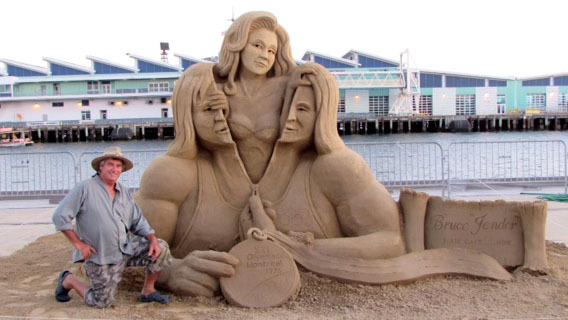 In sand, he’s won many national and international titles — including events in Canada, Italy and France.